Also, believe it or not, I was not thinking about Old Spice in the slightest when making this. Thats one wild looking taco! "Tacos are forever, forever, forever..."now that would be a James Bond theme song! 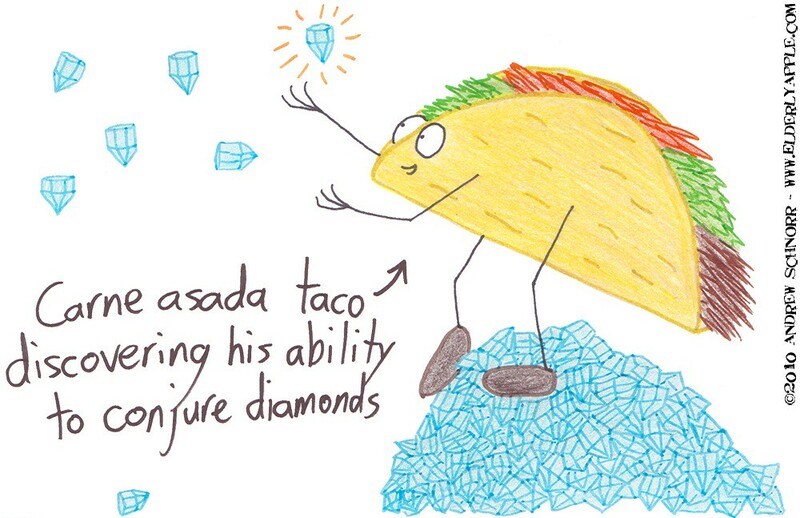 look again, the tacos are now DIAMONDS!! That taco is way too happy. Doesn't he know he is food? If he knows that diamonds are valuable, then he should know that as a food item his life expectancy is rather short. Maybe he could buy some protection or dare I say it...become a cryogenically frozen food item to be revived at a later date. Bruhaa Haaa Haaa. Love all of the possiblities that science fiction allows.